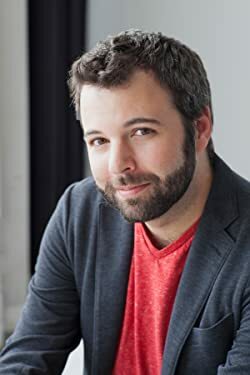 Joseph Fink created and co-writes the Welcome to Night Vale podcast. He is from California but doesn’t live there anymore. 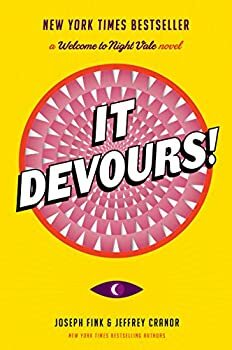 Co-author Jeffrey Cranor co-writes the Welcome to Night Vale podcast. He also co-creates theater and dance pieces with choreographer/wife Jillian Sweeney. They live in New York. CLICK HERE FOR MORE STORIES BY JOSEPH FINK & JEFFREY CRANOR. Reposting to include Skye's new review. 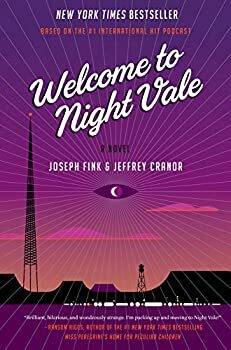 Considering the massive, continuing success of their Welcome to Night Vale podcast and the first Night Vale tie-in novel, Welcome to Night Vale, it’s no surprise that Joseph Fink and Jeffrey Cranor wanted to keep the ball rolling and co-write a second Night Vale novel. Skeptical or worried readers could be forgiven for justifiable fears about the quality of It Devours! (2017): what if the core concept began to wear thin, what if the writing team of Fink and Cranor began to falter, what if they tried too hard to be “edgy” and simply came across as confrontational or sophomoric? Happily, the quality of It Devours! is such that I think it will put those and many more fears to rest. Alice Isn’t Dead: Anxiety Bros, unite! 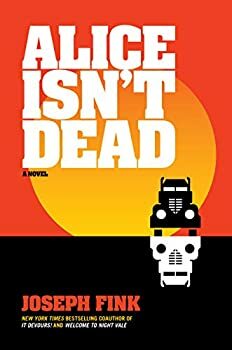 Alice Isn’t Dead (2018) is a stand-alone novel, adapted from the three-season podcast of the same name, both of which were created by Joseph Fink. Where I would have given the podcast 3.5 stars, the novel is much more cohesive and much more successful at telling this story. Lines like “Earl’s eyes were empty pools of water” and “The subtext of America wasn’t just text here, it was in letters five feet tall” are less awkward, more natural, when delivered by an omniscient narrator rather than a lone woman monologuing over a CB radio to anyone who will listen.